A good friend, great fisherman and one of my early mentors, Paul Swenson, once told me that the basis for all great flies is to have no more than three ingredients. I can’t say I follow this train of thought to a tee, but when I find one that does conform to these standards, I always remember those words. The brilliance of this fly lies in its simplicity: quick to tie, few materials, and useful in a variety of situations. There are a lot of factors to consider when looking at a streamer these days, color, weight, size, profile, etc. One of the more overlooked is the weight:surface area ratio that determines whether or not a fly will sink quickly in a current. There are loads of heavy streamers out there that just don’t sink, they have too much surface area to cut the current. The BFE is nothing but a couple of marabou feathers, lead eyes, and a thread body, it is a perfect example of a fly with a weight:surface area ratio that allows it to plummet. When this fly is wet, it reduces in profile to nothing and cuts right through the current. It can be effectively fished in a variety of situations, I love to fish it upstream on a floating line, almost Czech nymphing it, swing it out at the end of the drift. I also use it on sink tip lines in big currents, reach casting a long line over a large run, stacking some slack into the drift to allow the line and fly to sink, and then fishing on a swing or stripped retrieve back across the current. 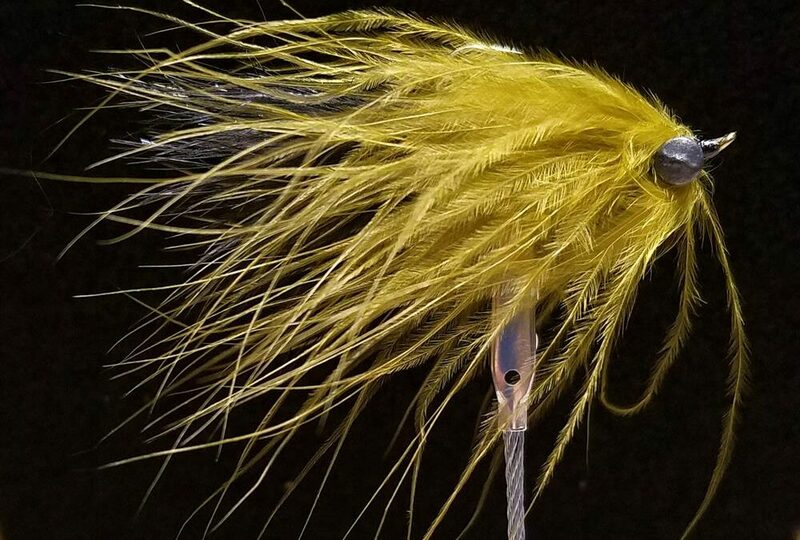 This is a deadly fly in fast pocket water when fished on a floating line from a drift boat as well – it’s a guide favorite in the Box Canyon of the Henry’s Fork.